*If your loss of data requires immediate attention, then click on the Priority Button to select this service. This ensures your drive is placed at the top of the recovery service schedule. Please note, the priority option fee is not included in the total cost above. Please note: Following the receipt of your device, we will perform extensive testing to recover the data. Upon successful recovery, your data will be written to a new USB drive. Data on external devices is conveniently portable—and at the same time, constantly exposed to more risk than a hard drive that’s simply plugged into your laptop or PC. External hard drives, SD Cards, USB flash drives: All of these are examples of small (or big!) devices offer you the convenience of transporting data from one location to another. 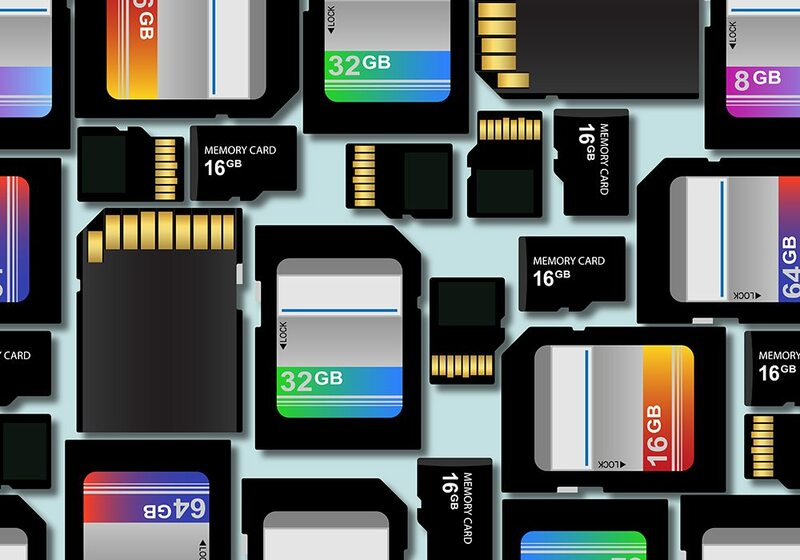 Data recovery from failed SD Cards could be due to a whole host of factors since you’re dealing with a physical device that’s used in and out of various other devices. 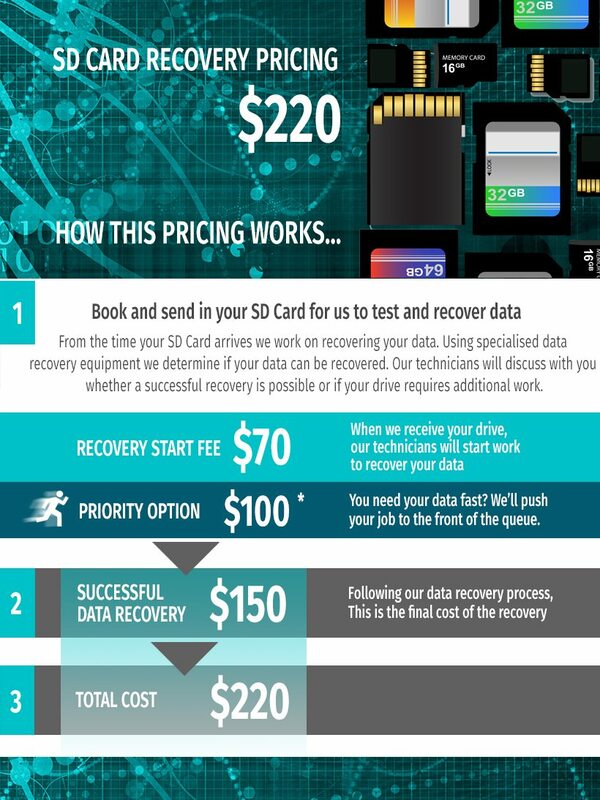 The type of data recovery SD Cards need is essentially dealing with devices that aren’t just damaged on a software level, but possible physically too. This is no longer a simple matter of files that got corrupted in transit or were infected by some form of malware. Being fully-equipped to handle data from a failed or damaged SD card, we can provide you with efficient data recovery services. Our data recovery methods are warranty safe and recommended by leading manufacturers including Western Digital, Toshiba, Fujitsu, Seagate, and more. You can get in touch with us online via LiveChat and a Data recovery SD cards specialist will attend to your needs in real-time! Call 1800 473 268 or Start your Booking now! This is your own internal Job reference, so you can track which of your customers this booking applies to. Would you like to receive email updates and the invoices? Is this an emergency job which requires to be serviced immediately? Would you like to use our pickup service? Free pickup is available in your area. Would you like to use this free service? You have selected our free pickup and delivery service. A representative will call to arrange the best time to pickup your device. Please note. Pickup must be Mon-Fri, 8.00am-6.00pm. See our Terms & Conditions for full details.